Everyone can use more storage space – shelves for books, nooks and crannies for the odds and ends that never seem to stop accumulating. But what do you do when you run out of walls, corners and closets to stick your stuff in? One thing that is rarely flexible in our daily living is the volume in which we live. What’s a good solution? 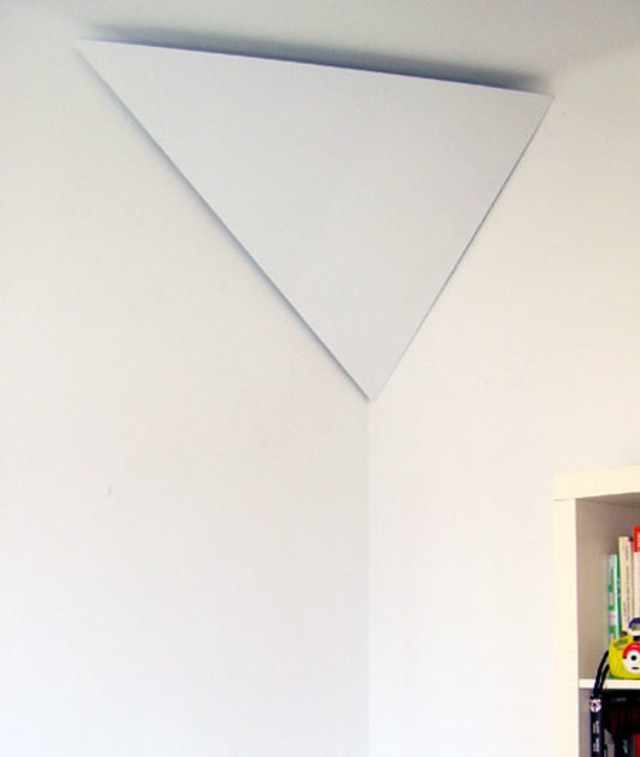 These corner hideaway shelves are one rather simple and elegant answer to this ever-present interior design problem. 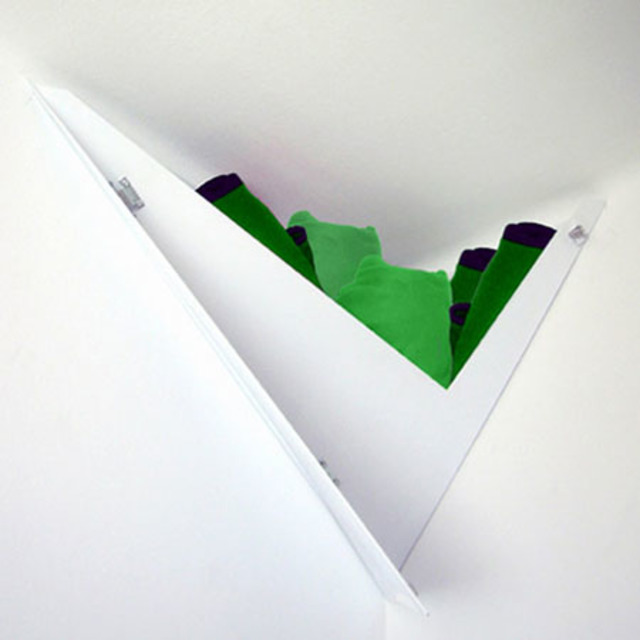 Designer Cristina Toledo gave this series the fun name “Punished— to the Corner!” This unique take on space-saving hidden storage sort of acts like a sling for your stuff, hidden up high where nosy people can’t easily access them. The shape and material of these clever modern shelves are pretty basic, but it’s the way they’re used that makes the results so weird and special. “It is a storage space that can be mounted in any corner of your room,” says Toledo. A flap with hinges that can’t be seen from outside folds down to reveal the contents. It seems like an ideal place to hide whatever you don’t want people to see – like illicit materials and objects of a personal nature – or maybe just a few things you don’t need to use very often. 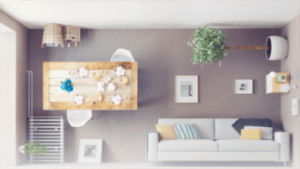 Probably their single best feature is these shelves’ capacity to take over and make use of one of the least-used spaces in a home – the upper corners of each room. 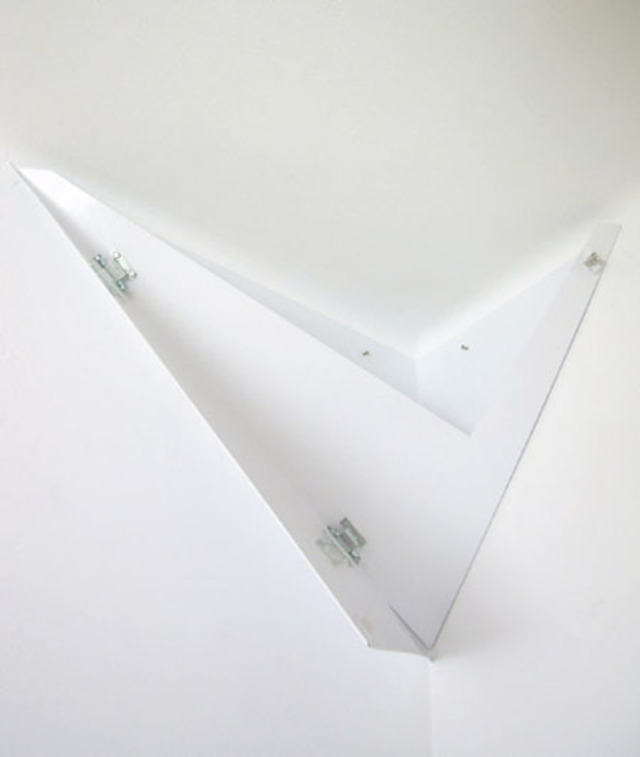 Walls often have light fixtures or shelves or doors in the way but corners rarely get any use at all. Moreover, the design solution itself is subtle but compelling – it adds new lines, shapes and angles that soften a room and draw attention to a new design element without calling too much attention to themselves or conflicting with other geometric and aesthetic features.